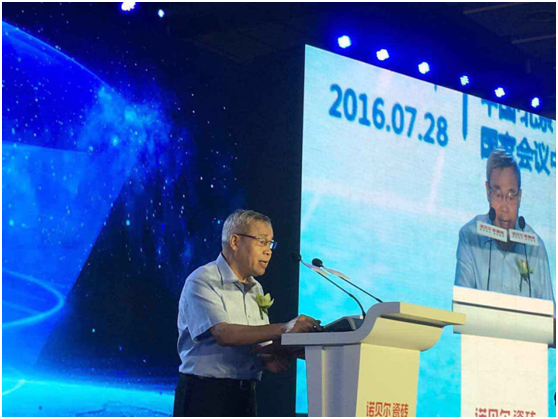 News conference re NABEL SIMM Marble tile-China firstly developed new generation of ceramic was held at the National Convention Center in Beijing on 28th July 2016。SIMM Marble tile is a new un-traditional ceramic tiles which were developed by NABEL- one of the leader brand in China ceramic industry, NABEL launched its new strategic adjustment by this SIMM Marble tile, China building material federation and more than 100 well known medias witnessed this meaningful moment together. The General Manager of Trout(China) strategic positioning consulting firm (NABEL’s Long term strategic consulting company) Mr. Deng Delong stated that the reform’s key point is to change the increment way , and the key to change the increment way is the change from “per requirement” to “creating requirement”, and NABEL’s SIMM MARBLE makes this change come true. 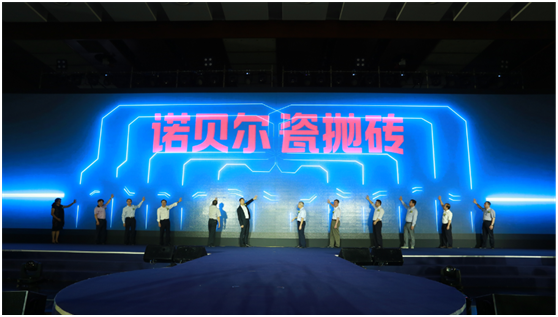 As one of the leader brand in China, NABEL enterprise explored a continual developing sample for the ceramic industry to cater for National supplier structure reform. 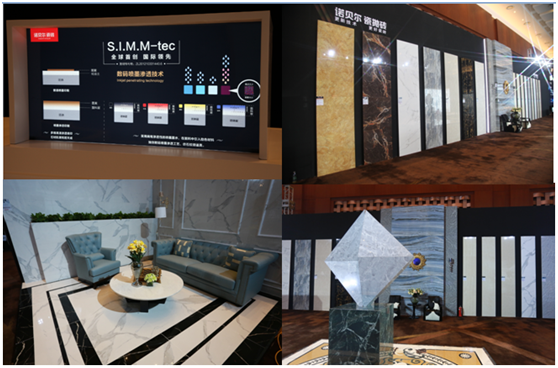 Called a great many times, the SIMM MARBLE Tile finally appeared in the conference spot and the secret mask was uncovered, this created a new category of porcelain tile and become a new forces in ceramic industry. Based on the four core technologies and two “substitution”, SIMM MARBLE owns both the characteristic of polished porcelain tile and designing advantage of polished & glazed porcelain tile, it avoids regular polished porcelain tile’s disadvantage-color and pattern is simple and disadvantage of glazed & polished porcelain tile- the surface anti-abrasion is not good, to unify the function and decoration. 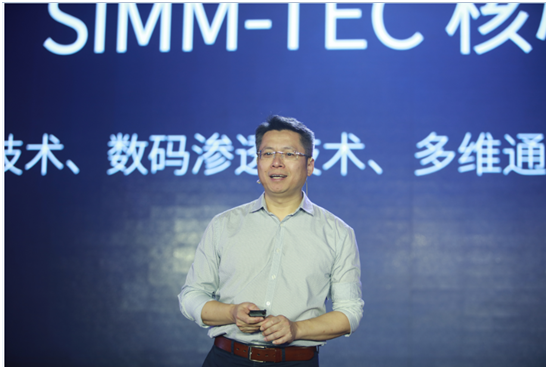 The vice secretary of China building ceramic and sanitary association Yi Hong expressed that the debut of SIMM MARBLE TILE adds a colorful painting to the ceramic industry and has extraordinary meaning. The chief designer of HK designing office-Mr Chen Feijie deemed that a good tiles must have a good application. In his opinion, the main designing trend for indoor space is to express the new high level thinking via simple way—Humble luxury. The household designing focus more on customer’s emotion feelings instead of its dazzling outlook, SIMM MARBLE caters for the pursuit of simple and nature for the people living in high quality home space with its rich color and texture of natural stone, The noble elegant 34 models with their rich 、warm、solid texture and the better dimensional further process make the application and decoration combined together, showing the advantage to have more material choice for the designers. In the event spot, NABEL and CCTV reached a strategic collaboration agreement. 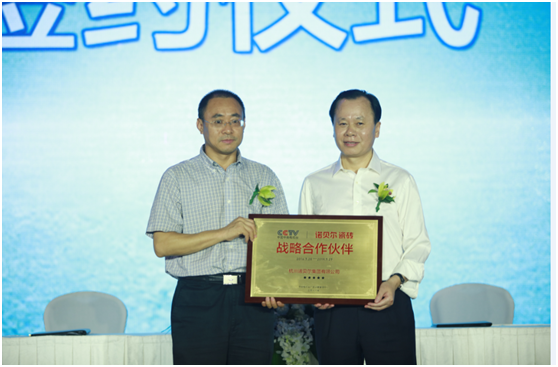 Mr Chen Rong who is from CCTV advertisement operation regulation center and Mr Chen Weihong, a famous CCTV host attended this conference. This agreement signature means the establishment re bilateral long term strategic and cooperative relationship between the two parties. NABEL will gain the chance to have quick, constant, steady, healthy development. 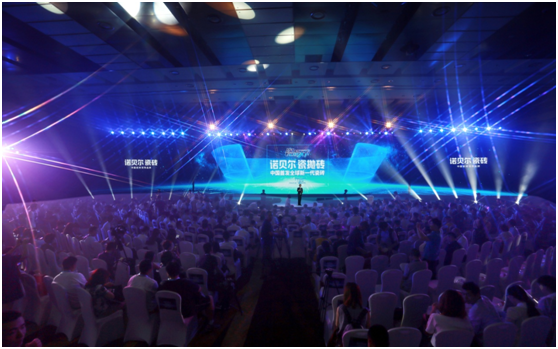 Five years to grind a sword, The birth of NABEL SIMM MARBLE has become another mile stone for the development of ceramic building industry, and the market structure will be changed, the ceramic tile industry will be improved further! For this superior tile, its surface layer is made by porcelain material, ink jet printing, high temperature firing and micron grade finishing. Compared with the regular glazed porcelain tile (such as glazed & polished porcelain tile, crystal polished porcelain tile), it has better anti-abrasion, warm surface touching feeling, more vivid surface veins, suitable for all kinds of building’s internal and external wall and floor decoration. Nabel Group was established in 1992, after 24 years’ continual development, it has become one of the first selected ceramic tile supplier and producer for global high quality customers, its sales turnover reached the top level position for the last continual 23 years for single brand in ceramic tile industry, Currently under NABEL flagship, there include SIMM MARBLE series、Gem stone series、Joy stone series、CESAN Impression series and variety of other accessory tiles, and generating lot of new decorative design concept, offering perfect product and service for global high quality customers.